Leicester indie rockers Kasabian are back with the massively anticipated new album after 2011’s ‘Velociraptor’ with ’48:13′, which was named after the length of the album. After teasing the new album with comeback single ‘Eez-Eh‘, expectations were high..
After being named as this years closing headliners for the approaching Glastonbury, the pressure was certainly on Sergio Pizzorno and his boys to deliver what possibly needed to be their best ever album to prove all the doubters wrong that they are worthy of a slot at the top of Worthy Farm, and that’s exactly what they have delivered. Opening with the hard-hitting bass anthem ‘Bumblebee’, the album starts at a very high level, which is maintained right throughout the album. ’48:13′ has a real old school Kasabian feel about it, with an added Kraftwerk-esque electronic twist. 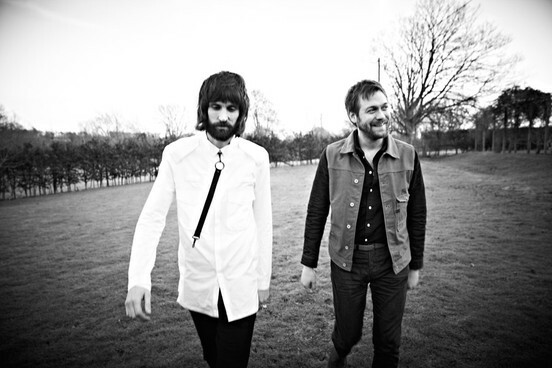 With frontman Tom Meighan calling this album “direct”, its where Kasabian lie best, Kasabian doing what they do best, not trying to be the best at something they aren’t; electronic-fuelled indie rock is where Kasabian have always been best, from their anthemic classic ‘Club Foot’ to ‘Switchblade Smiles‘ and beyond, ’48:13’ provides more soon to be stadium anthems. Massive album tracks ‘Stevie‘ and ‘Treat‘ set the album alight, mixed in with electronic interludes that add the fuel to the fire of Kasabian’s finest 48 minutes and 13 seconds of work in their career. This album certainly feels like Kasabian have found their true identity, after their first two albums full of a mix of electronic tracks and guitar blasting anthems, before their guitar heavy iconic third album ‘West Ryder Pauper Lunatic Asylum’, the band seemed to lose their way on the last album; it seems a lot of thought and hell of a lot of work has gone into this album and its certainly paid off, its an album that’s Glastonbury worthy. One thing is clear, Kasabian are back, and are ready to get back on their perch as the biggest band in the UK.